US policy is a distraction from the ongoing Korean talks, which Seoul hopes will eventually lead to the denuclearization of the entire peninsula, security analyst Charles Shoebridge told RT. 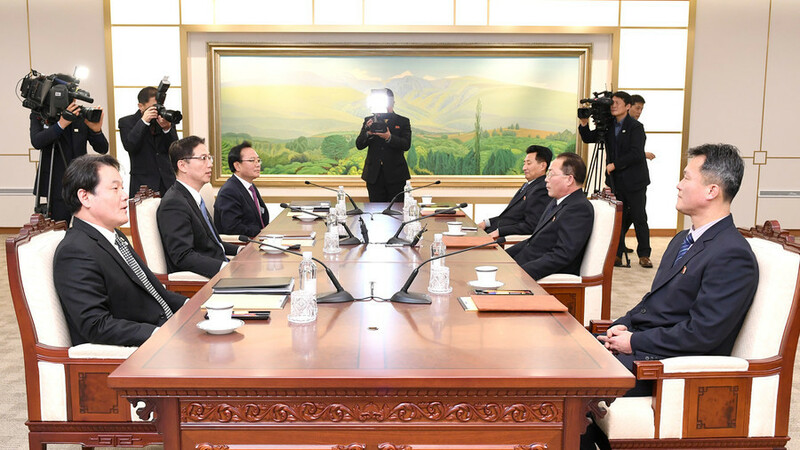 The third session of inter-Korean talks in a week signalled a significant breakthrough in the frosty ties between the two Koreas. 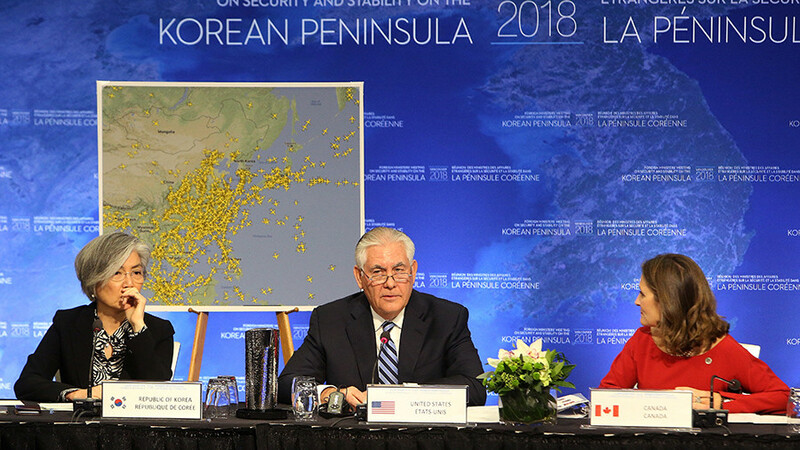 And while the thaw in relations was welcomed by Seoul, the recent rapprochement was greeted with skepticism by 20 foreign ministers of the so-called "Vancouver Group," which defended South Korea during the Korean War more than five decades ago. "It is particularly ironic... That while this... Thawing of tensions is going on between North and South... It's happening... In Vancouver, the former allies of South Korea are tightening the noose, increasing the rhetoric, raising the temperature," Shoebridge told RT after the US-led group decided to consider unilateral sanctions against Pyongyang Tuesday. 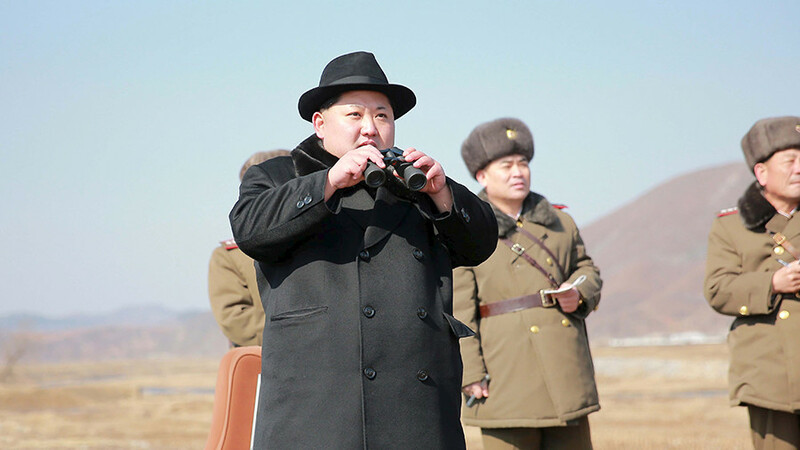 The US is adamant that it will apply not only economic and diplomatic pressure, but also issue military threats to force N. Korea to disarm. On Wednesday, Seoul and Washington "reaffirmed its security commitment to the defense of South Korea using all categories of its military capabilities," the Ministry of National Defense said. The allies also "agreed to continue the rotational deployment of US strategic assets to South Korea and nearby areas as long as North Korea's nuclear and missile threats persist." 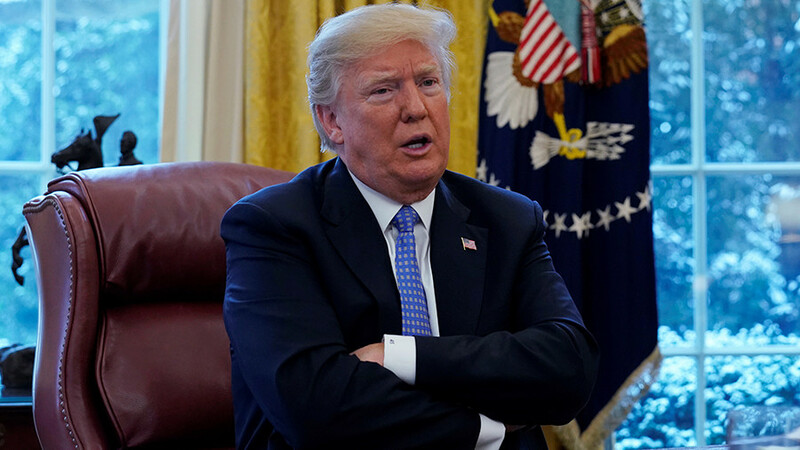 The decision to keep up with military threats comes the same day as Donald Trump expressed doubt that the intra-Korean talks will lead to “anything meaningful.” The US president also warned that it is “very possible” that the standoff with North Korea might not be resolved peacefully. Charles Shoebridge criticized Washington's foreign policy, pointing out that Seoul and Pyongyang can achieve much more if the US stops interfering in their "considerable diplomatic achievement." "These talks themselves started on the back of South Korea agreeing to persuade America to at least pause its military exercises," Shoebridge told RT. "It appears to be the case when the interests and the foreign policy, and the actions of the United States are put to one side, local players are, to some degree at least, able to start finding local solutions, [and] make some progress towards securing their local interests, which are usually peace and stability." China and Russia – two major regional players who were not invited to participate in the Vancouver summit this week – criticized Washington's pessimistic outlook of the Korean diplomatic process. 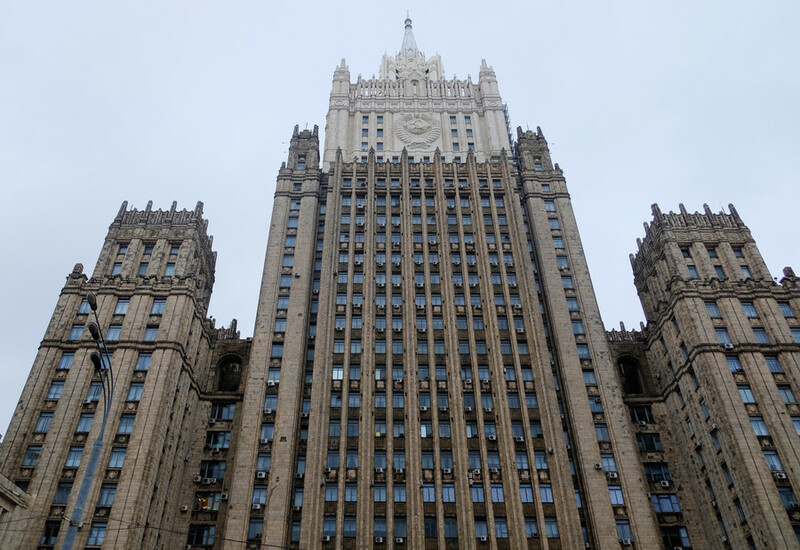 Participants that gathered in Canada, while rejecting the Chinese-Russian 'double freeze' roadmap for easing Korean tensions, failed to provide any alternative, Russia's Foreign Ministry said in a statement. In July 2017, Moscow and Beijing proposed the initiative that would see the US and its allies halting all major military exercises in the region in exchange for Pyongyang suspending its nuclear and ballistic missile program. The 'double freeze' initiative, however, was once again rebuffed by Washington Tuesday during the Vancouver summit. Beijing also slammed the meeting, saying it was driven by a Cold War mentality. "When major parties to the Korean Peninsula issue are not present, such a meeting will not contribute to properly resolving the issue," Chinese Foreign Ministry spokesman Lu Kang pointed out Wednesday. "All parties should cherish the hard-won momentum of easing tension on the peninsula, support the efforts made by the DPRK and the ROK in improving ties, and double their commitment in alleviating the situation and promoting dialogues." On Wednesday, North Korea agreed to allow a joint women's ice hockey team to participate at the PyeongChang Winter Olympics (February 9-25) and march together as one with their southern neighbor under a "unified Korea" flag at the opening ceremony. 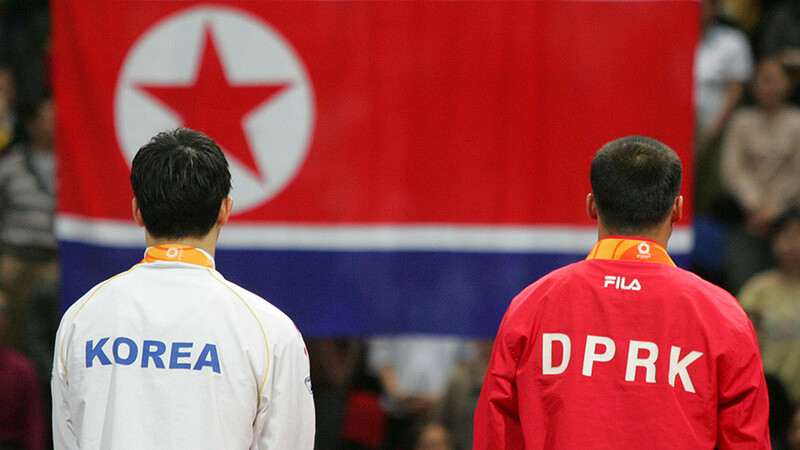 The North also consented to send a 150-member delegation of athletes and cheerleaders to the Paralympic games in March. South Korean President Moon Jae-in once again expressed hope Wednesday that the inter-Korean talks will pave the way for broader dialogue between the United States and the North which could eventually lead to the resolution of the North Korean nuclear standoff.